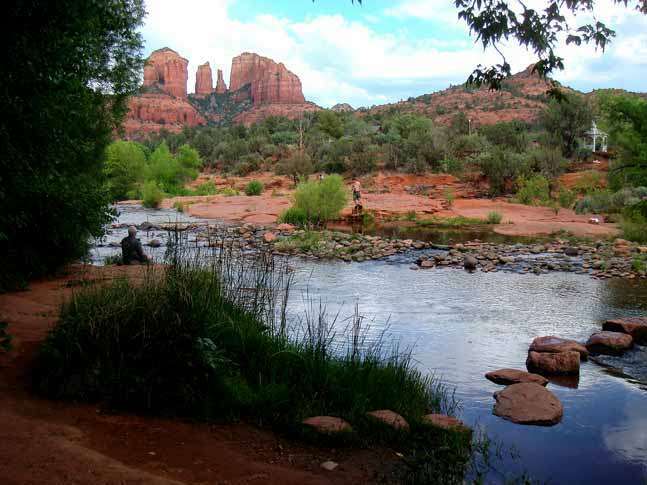 Visit Sedona's most photographed location! Red Rock Crossing had been a low water crossing over Oak Creek until a major flood washed the road out back in the 70's. 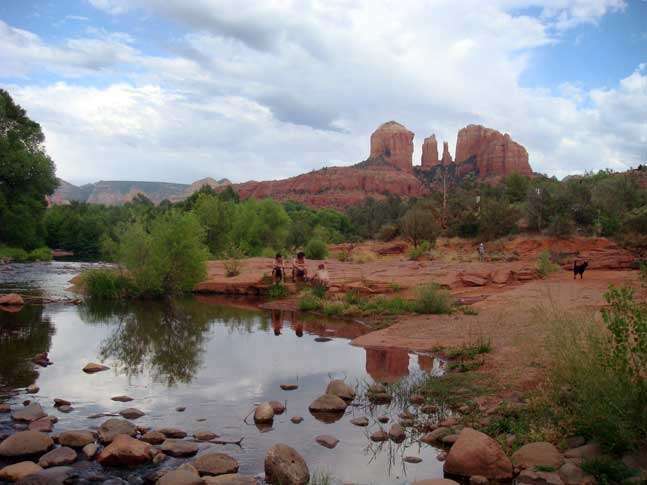 The bridge was never rebuilt and Red Rock Crossing & Crescent Moon Recreation Area is now one of the most beautiful locations that you can visit easily in all of Sedona. 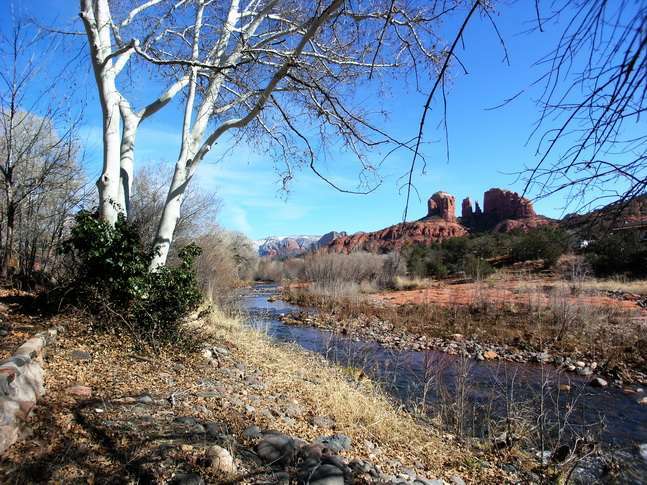 At Red Rock Crossing you will find one of the most recognizable images of Sedona known all around the world, Cathedral Rock, majestic against the eastern horizon, flanked by the ever present Oak Creek meandering by. A great place to set up for the day. Bring a picnic lunch and prepare for a glorious outing. Open Daily. Sunrise to Sunset. 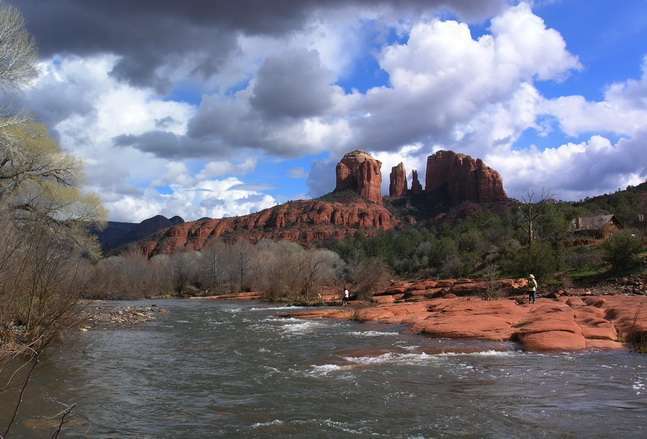 Red Rock Crossing is a State Park, a fee per carload is charged. 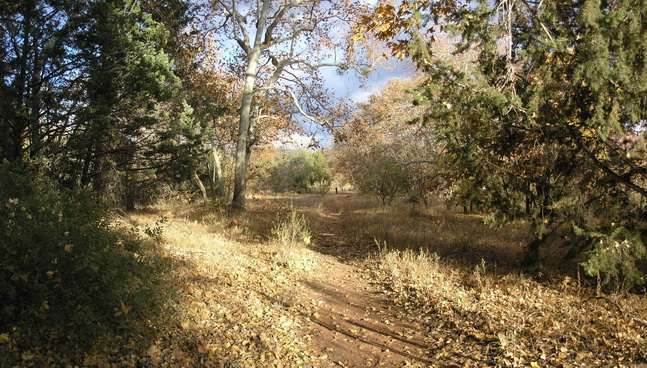 Sit on the banks of Oak Creek, have a swim or take a hike along either side of the creek on wonderful wooded trails. 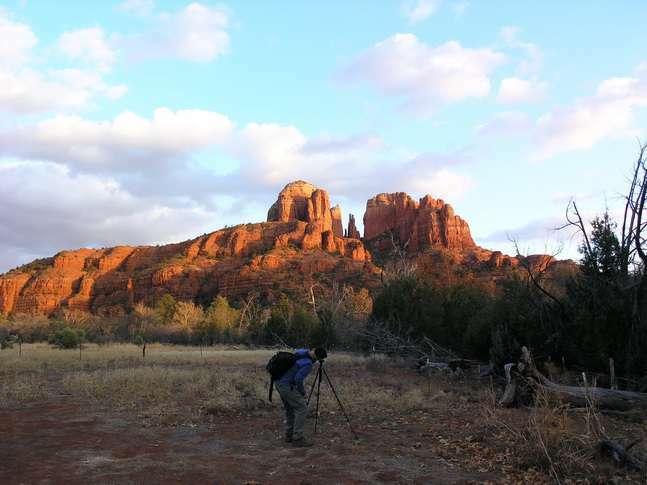 The trail on the south side of the creek will lead you all the way to the top of Cathedral Rock, offering breathtaking views and excellent exercise.